Tricia Martineau Wagner writes about multicultural adventurers and gives living history presentations about them because she’s an adventurer herself. The longtime Ballantyne-area resident’s creative spirit helps drive her passion to teach children about U.S. history, especially multicultural issues and race relations. She travels the country giving hands-on presentations that correspond with her four multicultural books for students in grades 2-8. Wagner comes dressed in period costume; brings 70 period artifacts for students to handle; explains the publishing process; and emphasizes the importance of students editing and rewriting their own work. “I want people to know that in me, Charlotte has a great resource and educational opportunity right here,” says Wagner, who’ll give one-hour presentations of “It Happened on the Oregon Trail” at St. Matthew School in the Ballantyne area on Feb. 28 and March 1 (8:15 a.m., 9:30, 10:45 and noon on both days). The Underground Railroad will be her subject on Feb. 22 in Statesville. 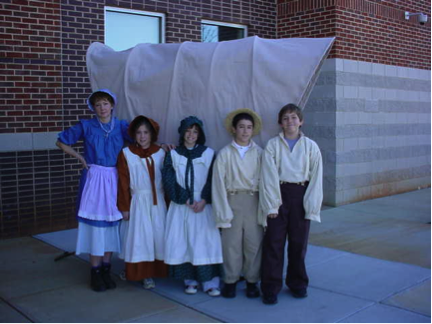 clothing during her talk about the Oregon Trail at St. Matthew School in 2005. Her “adventuring” includes much more than picking a random spot to live. In doing research for her books with crossover appeal for both adults and youths – “It Happened on the Underground Railroad,” “African American Women of the Old West,” “Black Cowboys of the Old West” and “It Happened on the Oregon Trail” – she read and handled century-old diaries and journals while traveling to locations along the Oregon Trail and safe houses along the Underground Railroad. She met and interviewed descendants of pioneers and slaves to gather oral histories. Her research travels and adventures were sparked by another cross-country family trip many years ago. “The reason I started writing my first book on the Oregon Trail (released in 2004) was, my husband and I were moving from Chicago to San Francisco and we had two kids who were 2 and 4. I had barely made the plane, trying to get everyone off and on. She decided to start writing when her kids got into school. During her historical research, it didn’t take long for her to find a glaring omission. “I noticed that it was very difficult to find information on black people,” she says. “I started to dig a little deeper. 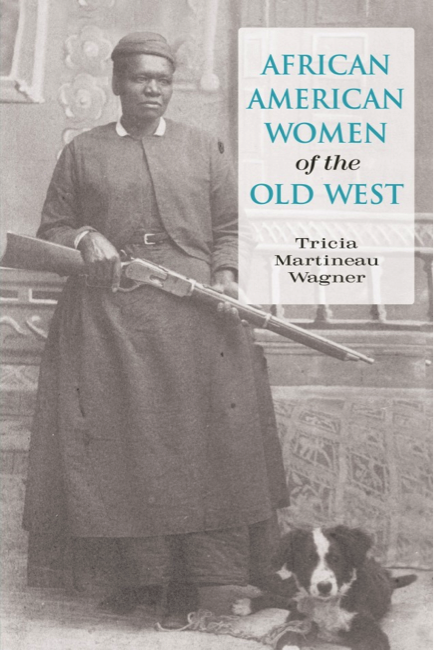 My second book was “African American Women of the Old West” because I thought, who were the least reported people in history? I thought black women were really at the bottom of the barrel as far as being appreciated for their efforts. Because she’s often felt “in the moment” during her travels, she wants her audiences to have that same kind of feeling. “I find the students to be receptive to the programs with a renewed interest in history because I’m able to make the past come alive,” says Wagner, who was a teacher for 12 years. She does this by letting students actively participate. They can handle period artifacts slave catchers used while hunting runaways on their horses, and hold horseshoes, whips, slave chains and branding irons. They can climb in old steamer trunks and replicas of boxes that slaves hid themselves in to be shipped to freedom. Wagner, who recently relocated with husband Mark to Denver, N.C., after living in the Ballantyne area for eight years, also gives presentations about multicultural issues to school districts for teacher in-service and curriculum days. She’s working on getting children’s books published – she has eight manuscripts ready – and is looking for an agent. She promises to stay busy and active while keeping history alive. “So often, history is full of facts and dates. It can be so dry,” she says. Reid Creager is a freelance writer. Have a story idea for Reid? Email him at rcreags@voyager.net.